"I started to feel progress far more quickly than I expected. This has taken me from being completely unable to perform certain movements through to the stage where I can move almost pain free." Longstanding low back problems can interfere with any sport. Tom was struggling with training and daily life. After Pete's targeted treatment and biomechanical work he's never felt stronger. "Pete was recommended to me by a fellow Crossfitter, and as someone who has tried a number of other treatment options, including a number of chiropractors, I can honestly say that Pete's personalised approach has had a profound impact on not only my training but also carrying on into the my day to day life." "I had struggled with back pain since rowing competitively in my teenage years and when I started CrossFit I felt a number of these ailments flaring up; particularly in my lower spine." 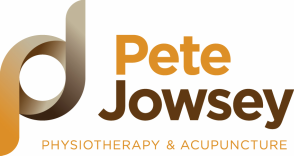 "​By getting me to perform the movements that caused issues, Pete was able to identify problems with my movement patterns that were missed by coaches and healthcare professionals for many years." "Providing me and my coaches with a personalised rehabilitation plan that was updated after each session to best address my concerns, I started to feel progress far more quickly than I expected. This has taken me from being completely unable to perform certain movements through to the stage where can move almost pain free." "Pete's personalised approach has had a profound impact on not only my training."